Last updated 7.11pm - The Islamic State terror group has claimed responsibility for the Manchester suicide bombing which killed 22 victims, including an eight-year-old girl, in the worst terrorist incident to hit Britain since the July 7 attacks. A lone bomber detonated a homemade device packed with nuts and bolts in the foyer of the Manchester Arena as thousands of young people were leaving a concert by US pop star Ariana Grande last night. An arrest was made in connection with the inquiry this morning. 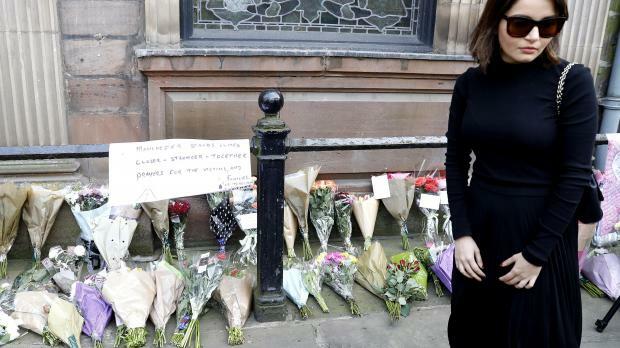 A woman views floral tributes left outside St Ann's Church, Manchester, following the Manchester Arena bomb attack. The first victims were confirmed as eight-year-old Saffie Rose Roussos from Leyland and teenager Georgina Callander from nearby Chorley. Saffie was at the concert with her mother Lisa and Saffie's sister, Ashlee Bromwich, who is in her 20s. A number of Maltese who were at the concert were unhurt. Many of the fifty-nine people hurt in the attack are being treated for life-threatening injuries. Twelve of those rushed to hospital were children. 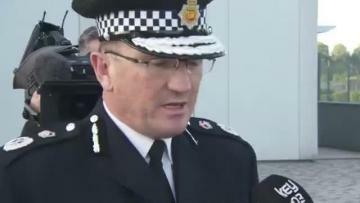 Andrew Parker, the Director General of MI5, condemned the "disgusting attack" and declared that the agency remains "relentlessly focused" on tackling the "scourge of terrorism"
She said: "It is now beyond doubt that the people of Manchester and of this country have fallen victim to a callous terrorist attack, an attack that targeted some of the youngest people in our society with cold calculation. "This was among the worst terrorist incidents we have ever experienced in the United Kingdom, and, although it was not the first time Manchester has suffered in this way, it is the worst attack the city has experienced and the worst ever to hit the north of England." "We now know that a single terrorist detonated his improvised explosive device near one of the exits of the venue, deliberately choosing the time and place to cause maximum carnage and to kill and injure indiscriminately." "All acts of terrorism are cowardly attacks on innocent people, but this attack stands out for its appalling, sickening cowardice, deliberately targeting innocent defenceless children and young people who should have been enjoying one of the most memorable nights of their lives." 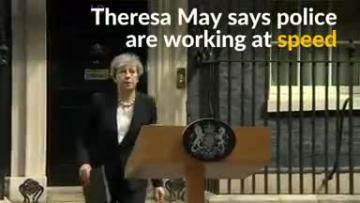 Mrs May said there would be "difficult days ahead" for those affected, but added: "We all - every single one of us - stand with the people of Manchester at this terrible time. "And today, let us remember those who died and celebrate those who helped, safe in the knowledge that the terrorists will never win and our values, our country and our way of life will always prevail." Last night's explosion took place at about 10.30pm, shortly after the end of the performance. Armed police sealed off Elsmore Road as residents heard a large bang in the street. Rosemary Ward, 21, said: "They were all running out of the house when a big bomb went off. "That's obviously what it was because the whole house was shaking. Everyone was panicking. "I heard there was 20 people in that one house. It was scary." She said: "I'm shaking. I'm just worried about my child." Ms Ward added: "It was the bang that shook us up. I started crying and just picked my child up." Speaking in Vittoriosa this morning, Prime Minister Joseph Muscat expressed solidarity with the British over the "vicious attack". Some Maltese, he said, were present for the concert and although at this point in time it did not result that any Maltese were injured or dead, they were being contacted through the Foreign Office.